This past week was a challenge and a humbler for the guide crew. We were hit with 2 major cold fronts early in the week followed by post cold front bright sunshine and nearly flat calm winds. This combination of weather events is the curse of a good spring bite. 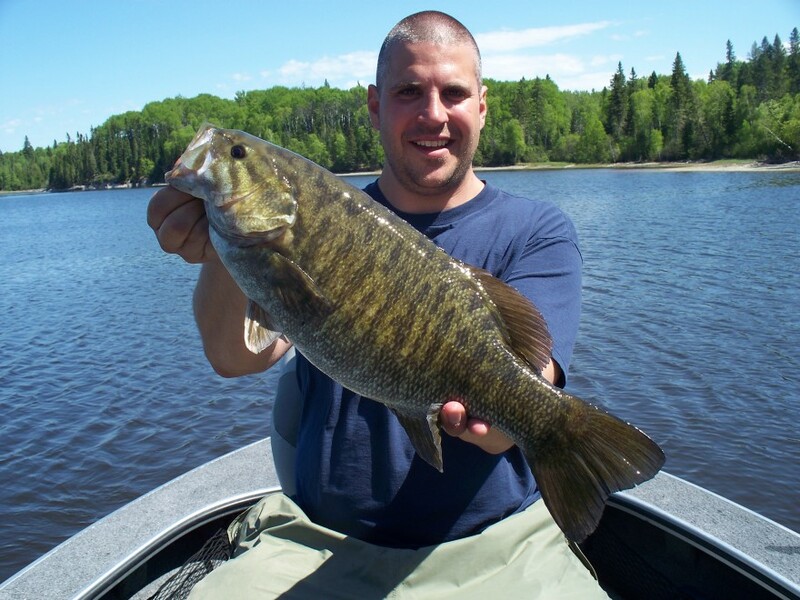 The wind driven cold fronts wiped out the isolated warm water pockets and mixed the main lake so that there is no advantage for a fish to be in 5, 15, or 25 ft. of water. The bluebird skies and flat calm conditions that followed put most of the fishery in a “let’s wait for better times mood.” Across the board, we saw a drop in production, size, and volume for all species. 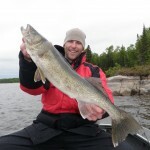 As a guide, the key to a successful day is usually to get a base line for the bite and then plan a strategy to duplicate a pattern that worked earlier in the day. Are they shallow and aggressive or deep and lethargic? 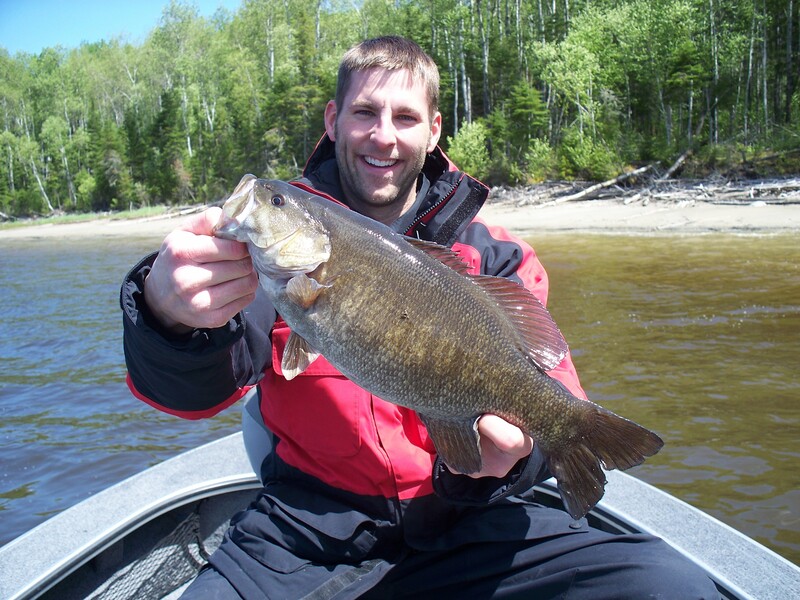 Are they biting in spring time locations or do we need to fish slow and light on transition spots? The key is to find a pattern and identify other locations and patterns that are similar. This week it was hard to find a pattern and nearly impossible to duplicate it. 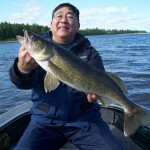 At our nightly round table meetings, I listened to guides finding a few nice walleyes way back in the channels of the north shore spring time spots, some guides finding a few nice fish on typical transition spots, and some guides so frustrated that they found fish deep on typical main lake summer structure. Lac Seul went into a weather blender and mother nature pushed the puree button. We did our best to adjust, but in the end, there is only so much to work with. 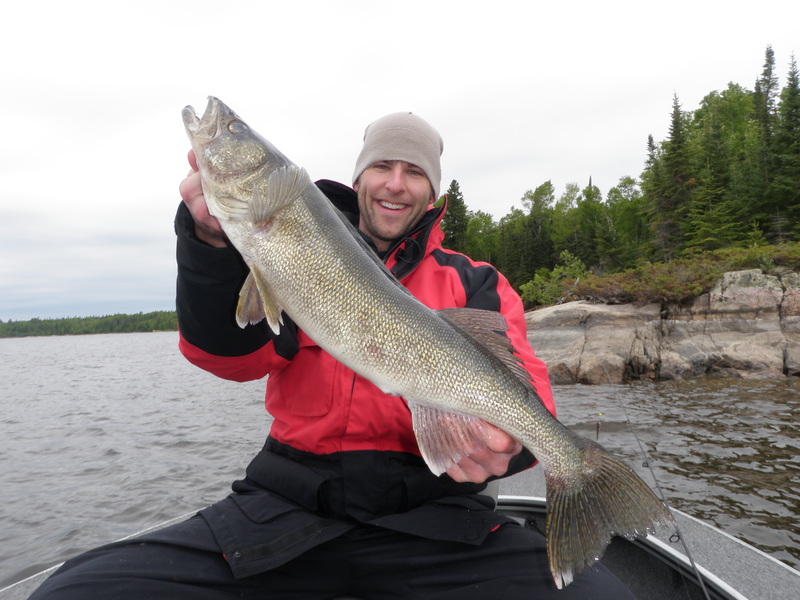 For the week, we had 23 walleyes over 27 in., including 6 – 28s. 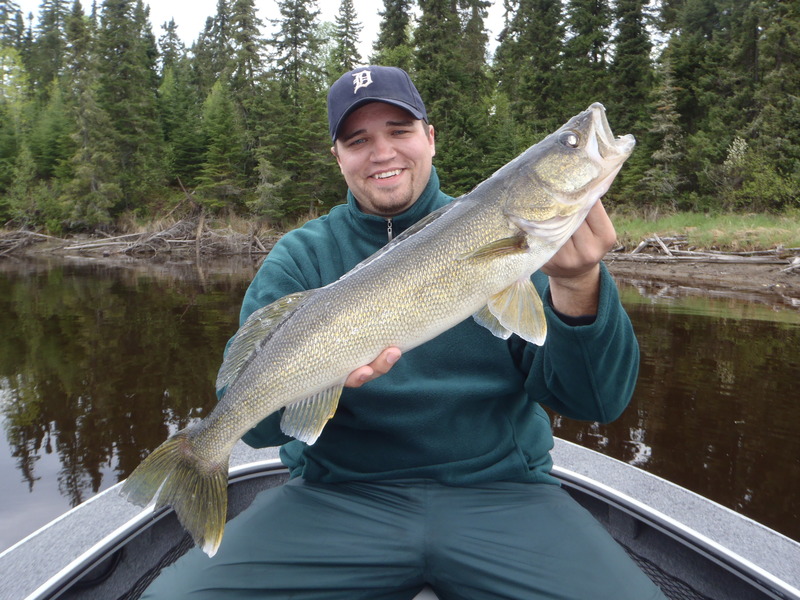 Walleye volume was down to an average of 20 walleyes over 18 in. per day for each guide boat. 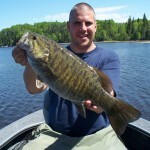 There were a few nice fish caught shallow in spring spots, but there were also many rogues caught out on the main lake. 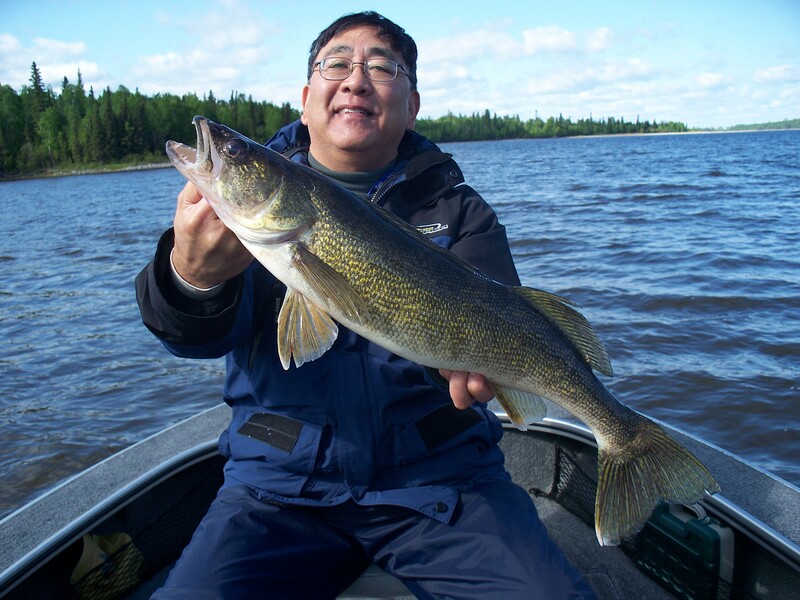 This week there were just as many big walleyes caught on big pike cranks fishing shallow water as there were fishing 1/8 oz. 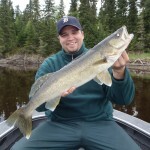 jig and minnow combos on main lake transition spots. As a guide manager, I preach “change of pace” from May to Sept., but this week, it didn’t seem to matter. 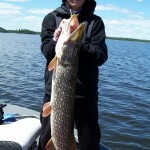 The big pike fishing suffered as well. We had 5 over 40, with 1 – 41, and 1 – 42. 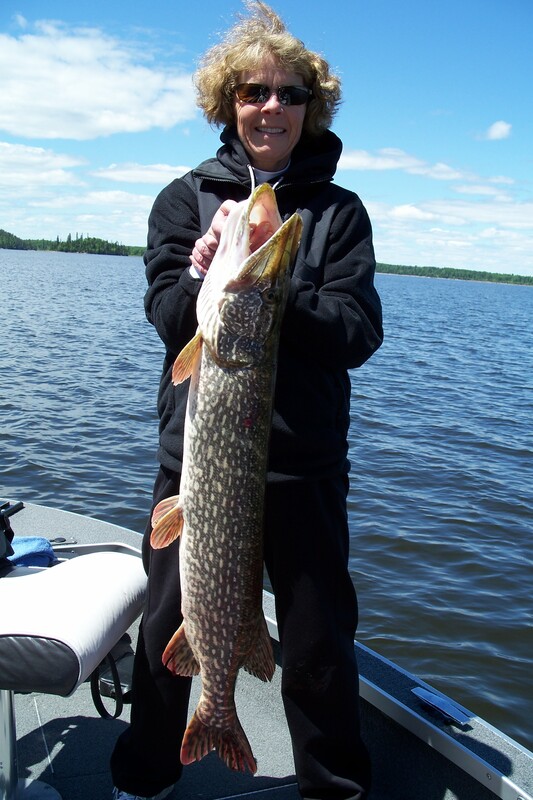 If the weather warms this week, I will expect to see big pike move back into some of the shallow water spring spots, but we will also begin to work on the main lake transition spots as well. 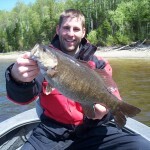 Smallmouth bass are just starting to come up onto the shallow water feeding flats before they gear into breeding season. We had 62 bass over 17 in. this past week, with 23 – 18s, and 2 – 19s. Slow, compared to last year’s early spring bite, but still not bad considering the weather conditions.